Osteopathy is a natural health care system of diagnosis and treatment for a wide range of medical conditions. Cranial osteopathy is a refined and subtle type of osteopathic treatment that gently encourages the release of stresses and tensions throughout the body. Pilates is a great way to improve core strength, muscles tone, flexibility and general fitness. 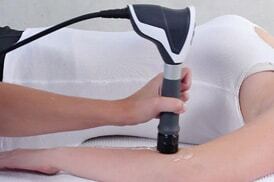 Extracorporeal Shockwave Therapy treatment is a highly effective treatment available for patients with chronic tendon disorders and other musculoskeletal conditions. treatments are available for mums to be, new mothers and babies to help ease the strains of pregnancy and child birth. Sports massage is a deep tissue massage which can be used to both help prevent and also to treat specific soft tissue injuries and imbalances. Also known as Trigger Point Acupuncture or Dry needling uses fine needles to work into trigger points within muscles. Kinesio Taping is a rehabilitative taping technique used to help promote healing whilst providing stability and support to muscles and joints. Tide End Osteopathy and Pilates is a family run practice located in central Teddington and is easily accessible from Twickenham, Richmond, Kingston and surrounding areas. At Tide End Osteopathy and Pilates we treat people from all walks of life, from the very young to the elderly, manual workers and office professionals, pregnant women and sports people, children and babies. Different types of treatment are suitable for different ages and conditions. Most people associate osteopaths with back pain but we can help with a much wider range of problems. The title ‘osteopath’ is protected by law. It is against the law for anyone to call themselves an osteopath unless they are registered with the GOsC, which sets and promotes high standards of competency, conduct and safety. I have been to see both Emma and Steve on numerous occasions over the past few years. 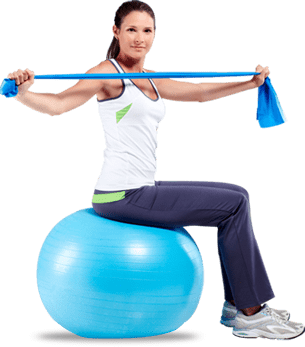 I have suffered from back pain for many years and after having two children and attempting to get back into exercise it became very painful. The treatment I received has meant that I no longer struggle to walk in the mornings and I am able to run again. I also know that if it flares up I can see either Emma or Steve, very promptly to get things back in line again. I can’t recommend more highly. Emma and Steve have always been incredibly professional and made me feel at ease at all times. Emma at Tide End Osteopaths has treated me for neck, back and shoulder pain. She has sorted me out every time using massage and acupuncture. I’d never had acupuncture before and it’s surprisingly effective. Wonderful to be pain free again. Emma has a friendly and professional manner too. No hesitation in recommending this practice. I’ve been to see both Steve and Emma over the last seven years for back, neck and hip problems and always walk out feeling better. They provide great treatment and self management advice.